She's a daughter of a police officer and a stay-at-home mom. 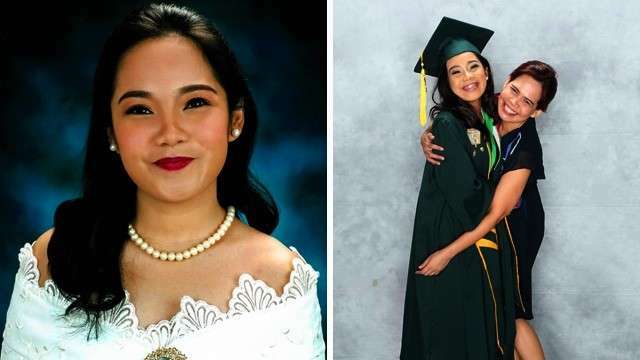 A few days ago, it was reported that two Filipino high school graduates—a farmer's son and a police officer's daughter—made it to two different Ivy League universities and bagged full scholarships at that! So we immediately reached out to Jess Cuadro to talk to her about getting into Columbia University with not just one but two scholarships! Congratulations on graduating high school! Have you always wanted to study in International School Manila (ISM)? "Before International School Manila, I was a sophomore in Makati Science High School. My family and I found out about the scholarship in ISM from a newspaper ad, and we thought to give it a shot. Back then I considered if it was even worth it, seeing as I would have graduated high school in two years and could have started working sooner to help my family. After talking with my parents, I decided to apply for the scholarship in ISM because of the opportunities that an international education would bring: the possibility of going abroad, learning more about global perspectives, and most importantly, meeting people from different cultures and backgrounds. The past five years in ISM has exceeded our expectations immensely, and I wouldn't be where I am now without the help of ISM." Can you tell us a bit about the kind of student you are? "I'm the kind of student who tries her best and isn't afraid to grab opportunities. ISM has given me so many opportunities to step out of my comfort zone. I've gotten the chance to speak in public and join Model United Nations and Impromptu speaking competitions abroad, sing and dance for our service partners, run our school magazine, and serve as President of our student government." Have you always wanted to study in an Ivy League school? "I didn't envision myself in an Ivy League school from the beginning. Before ISM, my goal was to study medicine in the University of the Philippines and get a job as soon as possible. When I first came to ISM, my biggest concern was adjusting to the new environment rather than preparing myself for college. Studying in an Ivy League school seemed too far-fetched, so I concentrated more on what I could do while I was in ISM, and how I could give back to the people who have helped me and my family." How do you feel about studying in an Ivy League school? "I'm so thankful for this opportunity, and I can't wait for what's ahead! However, I wasn't obsessed with going to an Ivy League school. I just tried my best, and hoped that I would be accepted to somewhere with quality education at the lowest possible cost, preferably free." Why did you choose to study in Columbia among many other universities? "My dream of going to Columbia began before my Junior year, when ISM sponsored me on a college tour in the East Coast. Before the tour, I had never set foot in the US, and I didn't know much about US universities. Of all the universities we visited, Columbia struck me the most, but I set it aside knowing that it was in fact one of the top universities, and I was afraid to get my hopes up only to get rejected. When it was time for us to seriously consider where we would apply for college, I went back to the Columbia website and looked at their core curriculum, specifically the books we would read and the subjects we would learn. I then wrote a cathartic e-mail to my counsellor and explained why I wanted so badly to at least apply to Columbia, knowing full well that I could face rejection. I've loved books and world history for as long as I can remember, and Columbia just seemed like the perfect place to learn about what I love." What course are you planning to take? "Columbia follows a core curriculum that allows their students to declare their majors after their sophomore year. That way, we get to truly explore what we want to study before committing to our concentration. I'm very interested in International Relations, Political Science, and Economics." Any particular reason for choosing those courses? "I've always been interested in the world around me, and my parents made sure that I grew up with a passion for positive change. I want to advocate for quality education and women's rights, and I think these courses would help me become more knowledgeable about these issues." Can you tell us what your scholarship covers? "Columbia's financial aid grant covers all expenses, including my tuition fees, meal plans, dormitory costs, travel fares, and school supplies. On top of this grant, I was also chosen as a John W. Kluge scholar, which gives me additional funding and support for research and student opportunities." "My parents were happy that I was courageous enough to even apply, knowing Columbia's low acceptance rate and how competitive US universities are. When I opened the acceptance letter from Columbia, I called my parents and we were all in disbelief. Now that it's finally sinking in, we have to go to ukay-ukay stores and bulk up on winter clothes!" How do you feel about being apart from them? "My parents have told me their own stories of traveling to Manila on their own to get quality education and to build a life for themselves. Strength and independence are a part of our family history, and my parents have always encouraged me to take risks and grab opportunities. Obviously I'm going to miss my parents and my younger brother, but I know that learning to live on my own is the best way to grow." Strength and independence are a part of our family history, and my parents have always encouraged me to take risks and grab opportunities. Any tips you can share with the Candy Girls about getting into their dream university? "You can't let fear steer your life decisions. Trust in your abilities and principles and take a leap of faith. When you apply for university, or anything for that matter, there's always the risk of rejection, and that's something I had to come to terms with. Things work themselves out in the end. Don't forget to stay humble and be grateful!" All the best, Jess! We're all rooting for you! 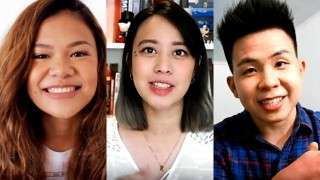 Do you have a story to share about your journey in college? Leave us a message, tweet us @candymagdotcom, or send your story to us! 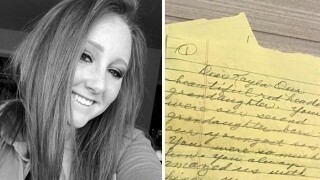 We'd love to share your inspiring story with other Candy Girls, too!